Lord Ganapathi also known as Ganesha, Vigneshwara, Vinayaka etc. Lord Ganesha is invoked before starting any work or puja or any homa or havan on all auspicious occasions and festivals. He is known as one who remove obstacles in the path of success or happiness. Ganapathi homam is performed to beget happiness, prosperity and good health. Anyone is desirous of praying to God to remove any obstacles in any of his plan/ work/Business /action and also to be victorious in his deeds can pray to Lord Ganesha. Ganapathi homam can be performed to please Kethu and hence anyone who has Kethu dasa or bhukthi or wishes to appease Kethu can participate in the homam. Performing Ganapathy Homam once every year gives prosperity, health and wealth. Especially in Kerala &Tamilnadu People Starts All Rituals By Performing Ganapathi Homam. 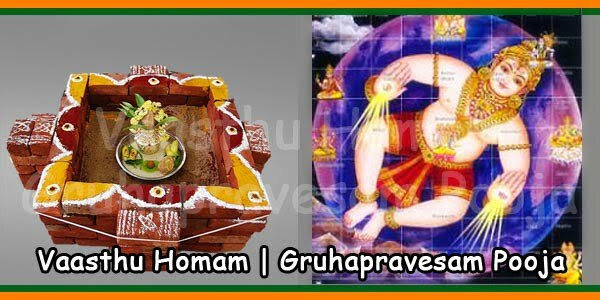 As per ganesh puran plenty types of ganapathi homam can be done example: Mahaganapathi Homam, Asthadravya Ganapathi Homam, Sahasra modaka Ganapathi Homam,etc. 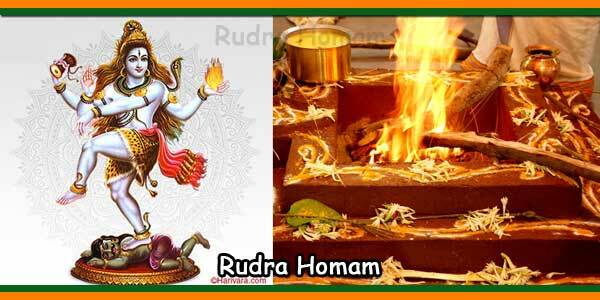 Performing Ganapathy Homam once every year gives prosperity, health and wealth. If any one is running Ketu dasa or bhukti or there is some dosha of Ketu in the horoscope, he shall perform Ganapathy Homam and get-relief. 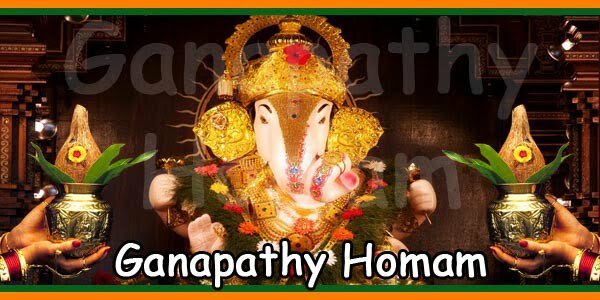 Ganapathy Homam should be performed in the early morning and Poornahuthi to be offered during sunrise, unless any other time is specifically mentioned to suit the particular purpose. Normally, only Vedic ways of Homams are performed. 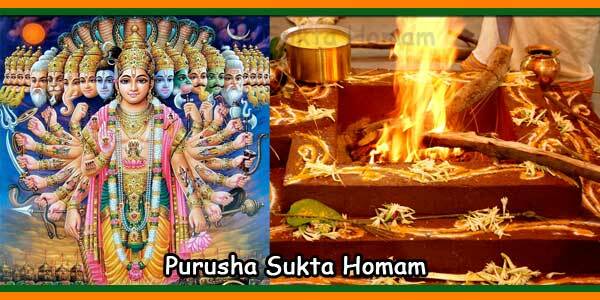 For Customized Homam – Date can be fixed as per one’s Janma nakshatra and the yoga, thithi of that date. Who should perform Ganapathi Homam? The main purpose of Ganapathi Homam is to remove any obstacles in any venture undertaken by the devotee. Devotees believe that by doing this ritual, the venture begins and successfully runs in a smooth manner. People seeking success at the start of any business, work life, student life, marriage, Housewarming (Grah Pravesh) and even Naming ceremonies (Naamkaran). People who are specifically affected by Kethu Dosha. Lord Ganesha is the planetary overlord of Kethu. Hence, one should perform the Ganapathi Homam to please Lord Ganesha and to remove the malefic effects of the Dosha. What are the benefits of performing Ganapathi Homam? 1) The devotee can get rid of all the obstacles and problems that he or she might encounter in their new ventures of life, both professional and personal. 2) Performing the Ganapathi Homam grants wealth and solves wealth related issues in a devotee’s life. Lord Ganesha is believed to be the governor of the Mooladhara chakra, which signifies material prosperity. 3) Performing the Ganapathi Homam enlightens the spiritual mind and makes one conscious of the higher realms of existence. Lord Ganesha is the gatekeeper of the Sushumna Nadi, inside the Mooladhara Chakra. 4) One can achieve prosperity, health and a happy domestic life by worshiping Ganesha once a year by conducting the Homam. 5) The Ganapathi Homam also gives the benefit of good health to the devotees who might suffer from ailments like anxiety, depression and injuries sustained during accidents. 6) People also believe that worshiping Lord Ganesha ensures success and wins over mortal enemies. What are the best days to do Ganapathi Homam? The Ganapathi Homam should take place early in the morning, before sunrise and the Poornahuti (the last offering signifying the end of the Homam) should take place at sunrise. The days of Sankashti Chaturthi of every month and Vinayaka Chaturthi are considered as extremely auspicious days for ganapathi homam. The 3rd day of Navratri which is Tritiya is also a great day to perform Ganapathi Homam. 1) Anujnaa – Mantras for asking for cooperation and permission from Lord Ganesha and other Gods to perform the Homam. 2) Aachamanam – The procedure involves sipping of holy water for inner purification of body and soul. 3) Vighneswara Pooja – The Pooja involves worshiping Lord Ganesha requesting him to remove all the obstacles in the Pooja. 4) Pranayama and Sankalpam – This involves taking a vow to please Lord Ganapathi. 4) Kalasa Shuddhi – This process is for holy water that one sprinkles on oneself. 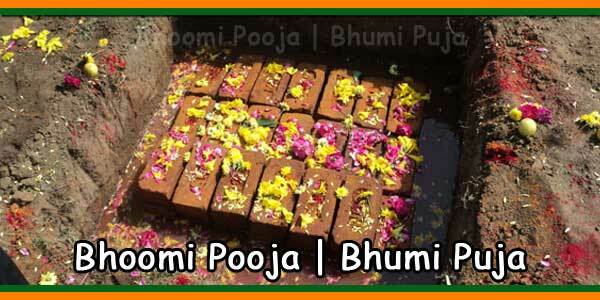 5) Agni Prathistahapana – One should start the fire inside the Homam Kund with a camphor. 6) The Dikpaalaka Pooja along with the Panchopachara Pooja also takes place for the Lord. The priest pours the preliminary offerings into the Havan Kund with the invocation of the God. Then he chants several Ganapathi Mantras in front of the Kund. After the Poornahuti, the ritual of Udvasana (concluding the ritual) takes place. Where to perform Ganapathi Homam? A devotee can perform Ganapathi Homam by himself or can arrange a Pandit. 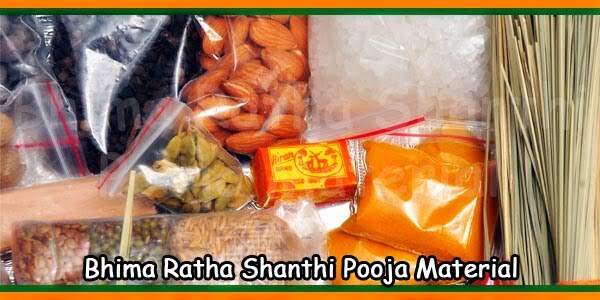 Since the procedure and the rituals are simple, this pooja can take place at home or office too. 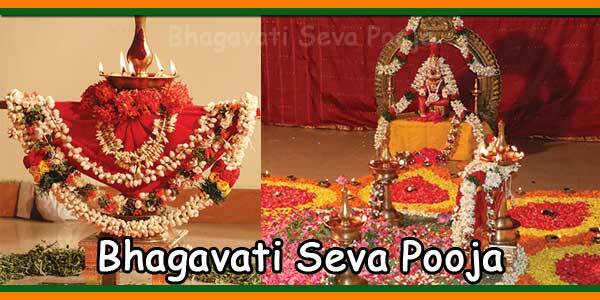 Most of the temples, irrespective of the main deity, offer the seva of Ganapathi Homam as their service. However, one should enquire and book the Homam in advance during the festive season and on auspicious days like Vinayaka Chaturthi. What is the cost of Ganapathi Homam? The cost of performing ganapathi homam varies but is usually around ₹1000 to ₹3000. The cost includes the materials required for the homam and the dakshina for pandit. 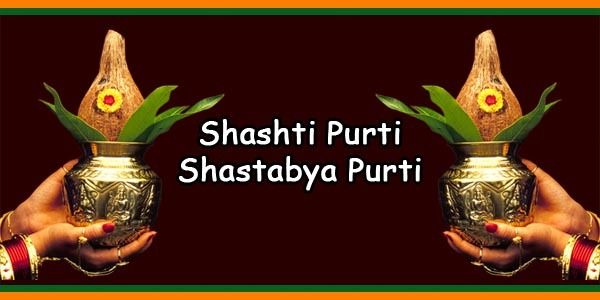 It is always better to take the help of your family pandit or ask your friends for recommendations of a good pandit.